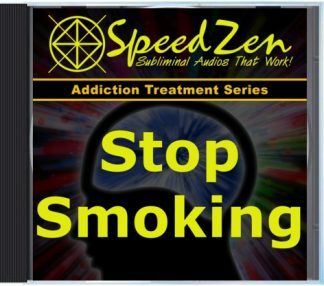 Order your custom Speedzen subliminal session now and in just a few business days you will have your very own, full-length Speedzen subliminal session, personally written and recorded just for you by Jason Lynch. 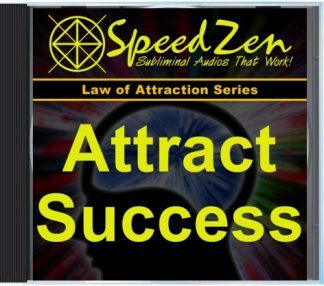 I am very happy to send a glowing review for all Speedzen products.I have stacks of subliminal cd’s from other sources but have found minimal reults at best. I was having some challenges at my workplace with my interacts with fellow employees being misinterpreted at times.I am a tall fellow ,quiet by nature,having extreme effects of diagnosed PTSD.This often made me feel uncomfortable and unable to relax which in turn made my coworkers uncomfortable.I related this challenge to Jason and he asked me a few questions via e-mail such as how I would like to be seen by others and who is a person that I think of who has those qualities.Suprisingly I was able to write quite a bit about who I wanted to be and chose a person who I felt has these attributes.He then made me a custom session. To my delight after listening to it just 2-3 times I noticed a dramatic change.I was much more relaxed,talkative and let my humor come out.I was initiating conversations and people were coming to my workstation to chat and hangout.This also made me realize that our ability to interact ,at times ,can be more important than our productivity. I asked Jason for a few more custom programs which produced the same rapid,noticeable results. I enjoy meditating so listening to the sessions are very soothing for me and are a part of my daily routine. My only challenge has been wrapping my mind around the fact that I did not have to listen to the session several times a day.Just relax,let the download do it’s work and enjoy the rest of my day. I highly recommend all Speedzen products and especially the customized sessions for any obstacles that may be limiting you growth and happiness! As of this writing, I’ve purchased 15 custom subliminals – each designed to address some area in my life about which I’m either insecure or lacking in. Collectively, they’ve been life-changing. I feel like a completely different person — confident, charismatic, loving — a far cry from the anxious, insecure, and self-loathing person I used to be. Last night, I asked my brutally honest brother if he has noticed any changes in me in the last year-and-a-half (I discovered Speedzen in November of 2017) — to which he said that I’m a lot nicer. Those words truly meant a lot, especially since I know he genuinely meant it. Growing up, I was never a good older brother to him, and I’m now someone he respects and actually feels comfortable engaging in. 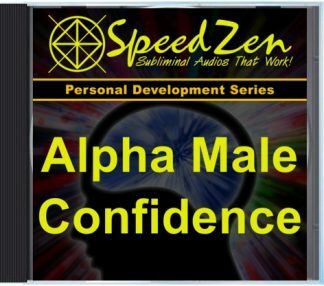 Thanks to Speedzen products, but especially the custom subs, I’m a better brother, son, friend, student, and human being.